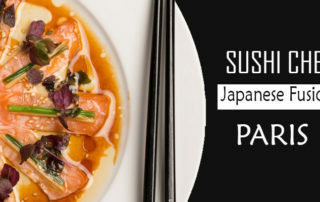 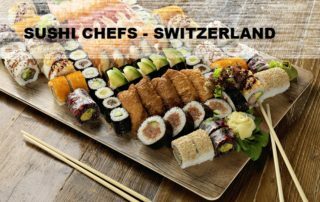 By Admin All4chefs|2017-01-25T13:19:59+00:00January 25th, 2017|Chef Jobs, Featured|Comments Off on Sushi Chef- Japanese fusion Restaurant,Paris ! 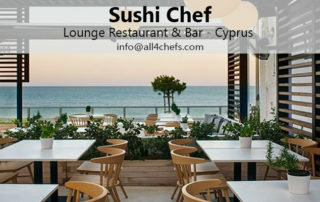 Sushi Chef – Lounge Restaurant & Bar – Cyprus ! 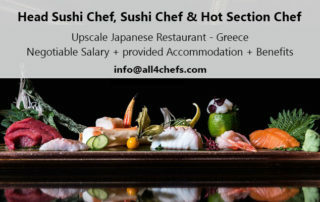 By Admin All4chefs|2018-05-02T17:21:53+00:00May 2nd, 2018|Chef Jobs|Comments Off on Sushi Chef – Lounge Restaurant & Bar – Cyprus !